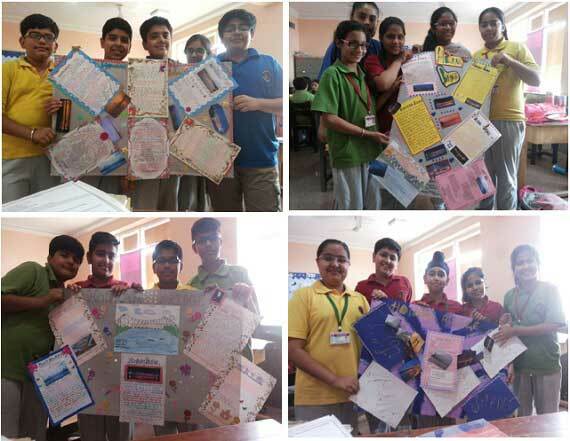 The students of class VII E had an Integrated F.A on the topic Howrah Bridge . It was an integrated group project in which students were divided in groups of five. One student had worked on one subject. It included group discussions and idea sharing session. It developed in them a sense of team spirit and cooperation. This was a wonderful experience for all the students .The Project came to an end on 29 April 2016 wherein they had presented their work together and gave presentation and shared their experience of the same. It was a great exposure for them. Through this, they got to show their creativity and turned it as a grand success.